No garden? No problem. These stackable chairs were made with urban living in mind. They match our Tice dining table perfectly. And, you can mix and match with our Indra and Zac tables for an eclectic outdoor look. Tice has a soft-looking shape and bold colour options. Go for grey to keep in tone, or on-trend chartreuse for a vivid look. 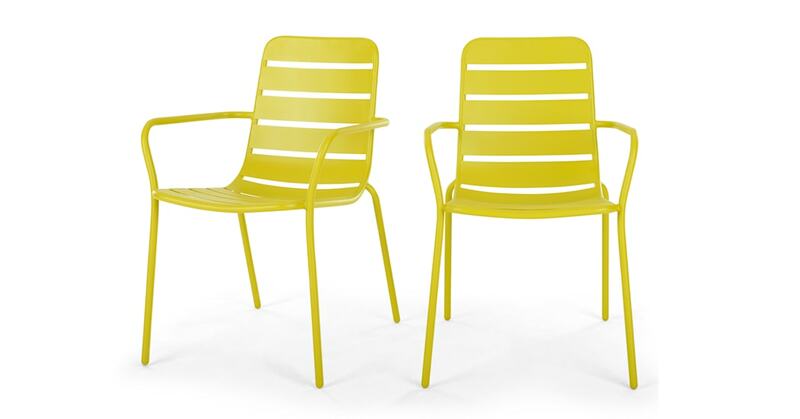 In powder coated steel, you can leave them outdoors all year round.